Transform your prayer life with Pray the Bible, Guideposts new eBook featuring 30 powerful prayers from the pages of the Bible. Scripture is filled with biblical figures who summoned the power of God. 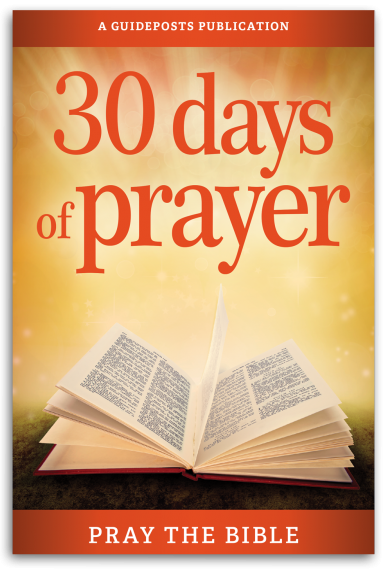 From Jabez to Jonah, Asa to Nebuchadnezzar, the 30 prayers featured in Pray the Bible have been specifically selected to guide you through the opportunities and challenges in your life. Draw near to Him and open your heart to His blessings as you delve deeper into His Word. Download this FREE eBook and make the Bible’s prayers your own!